I know I have been MIA for a few weeks. I took a long over due break from crafting. I have really enjoyed my time laying around, watching tv and doing NOTING! I'm rested and ready to get back in the swing of things. Missed you all and can't wait to see what you all have been creating. LOVE the Fall blog design!!!!!!!!!!!!!!!!!!!! 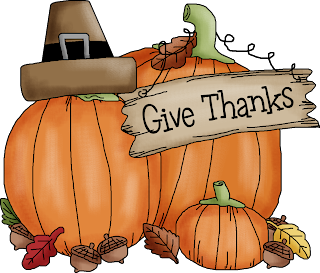 Glad you are all rested and ready to GOBBLE! Love the new header and colours. Welcome back and glad you feel rested :-) Have a wonderful creative weekend. Hugs, Karon. Kudos to you for taking a break! We ALL need that time to time! Get some rest my friend...we will be here when you return! Big hugs! Happy your back! Love the Beautiful Thanksgiving header! Sometimes you just have to take a break! Glad you have enjoyed yourself and look forward to seeing your creations when you get back to scrapping! Happy November to you! Nice to see you back. I've been taking it slow for months now. LOL! Love the new look of your blog, it is so very pretty!